Grab this printable coupon now. It should be clipped for you, and you should be able to find this on any ONE (1) Emerald Nuts products (5 oz. or larger) coupon in all zip codes. Grab this printable coupon now. It should be clipped for you, and you should be able to find this on any TWO (2) Emerald Nuts products (100 cal packs or 5 oz. or larger) coupon in all zip codes. Grab this printable coupon now. It should be clipped for you, and you should be able to find this when you buy TWO BOXES any flavor Protein One™ 90 Calorie Bars coupon in all zip codes. 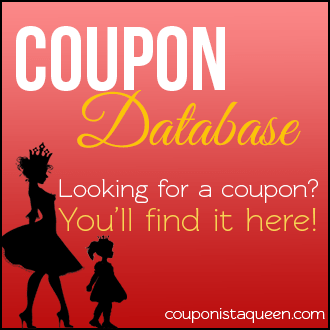 Grab this printable coupon now. It should be clipped for you, and you should be able to find this when you buy ONE BOX any flavor EPIC Performance Bar multipack coupon in all zip codes. Grab this printable coupon now. It should be clipped for you, and you should be able to find this when you buy TWO BOXES any flavor/variety 5 COUNT OR LARGER Nature Valley™ Granola Bars, Biscuits, Granola Cups,… coupon in all zip codes. Grab this printable coupon now. It should be clipped for you, and you should be able to find this when you buy TWO BOXES of any Annie’s™ Organic Fruit Snacks coupon in all zip codes. Grab this printable coupon now. It should be clipped for you, and you should be able to find this when you buy ONE any flavor EPIC Bar (excludes EPIC Performance Bars) coupon in all zip codes. Grab this printable coupon now. It should be clipped for you, and you should be able to find this when you buy any flavor/variety EPIC Strips coupon in all zip codes. Grab this printable coupon now. It should be clipped for you, and you should be able to find this when you buy ONE any flavor/variety EPIC Bar or EPIC Performance Bar coupon in all zip codes. Grab this printable coupon now. It should be clipped for you, and you should be able to find this on ONE Kellogg’s Special K Protein Meal Bars coupon in all zip codes. Grab this printable coupon now. It should be clipped for you, and you should be able to find this when you buy TWO BOXES any flavor/variety 5 COUNT OR LARGER Nature Valley™ Granola Bars, Biscuits… coupon in all zip codes. Save on ONE (1) Dove Dry Spray product. Excludes trial and travel sizes. Save on any ONE (1) Dove Advanced Care product. Excludes trial and travel sizes.